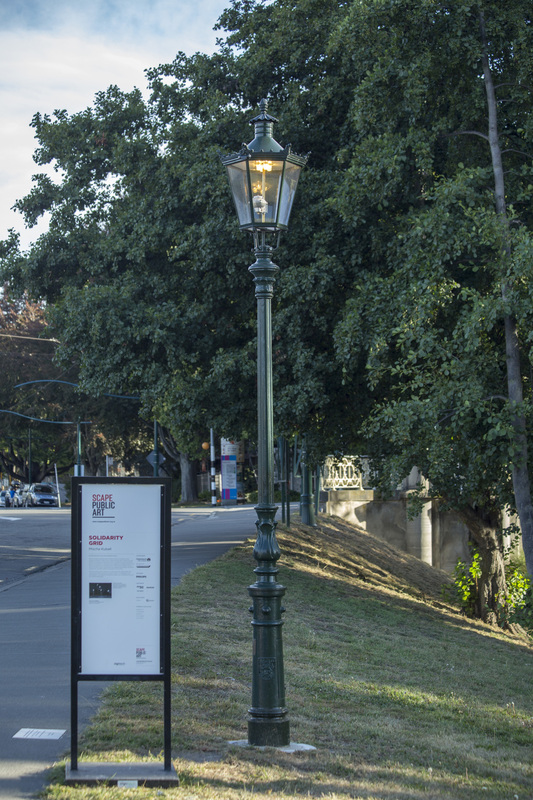 The 1st of 21 street lamps to be installed as part of Mischa Kuball’s Solidarity Grid. 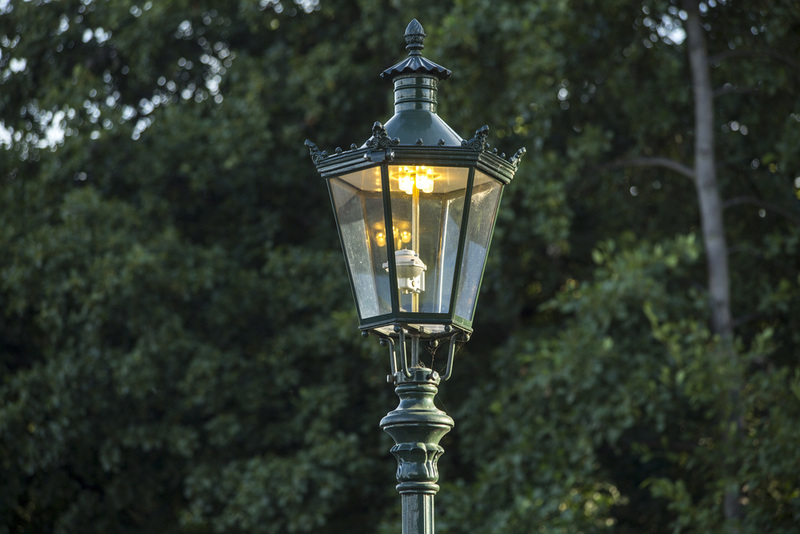 The street lamp, a gift from the artist's hometown, Düsseldorf, is a replica of the old Düsseldorf gaslights which are located in the historical area of the city. For Solidarity Grid, it has been re-engineered to operate as part of the Christchurch public street lamp grid. 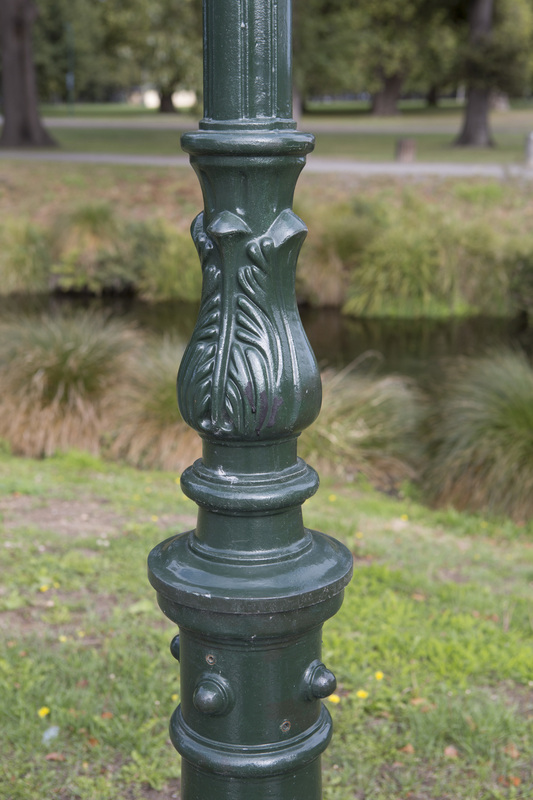 After two years of planning ahead of the project, and a visit from Mischa Kuball after the Christchurch earthquakes, this first street lamp gift from Düsseldorf has come about through Mischa's personal connection and passion for the project. The Düsseldorf installation has made way and opened the conversation of solidarity between Christchurch and other cities worldwide. Düsseldorf is an artistic and fashion-conscious city in Western Germany. The home to five Fortune 500 companies, a population of 11 million and many museums, theatres, parks and gardens, it is a wealthy city with a fun side. 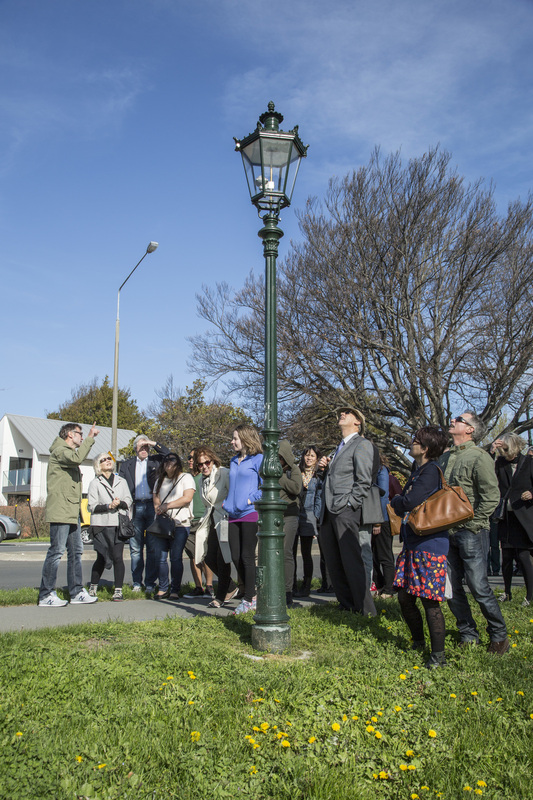 Artist Mischa Kuball discusses the logistics on how to ship the historical lamp post to Christchurch, NZ. 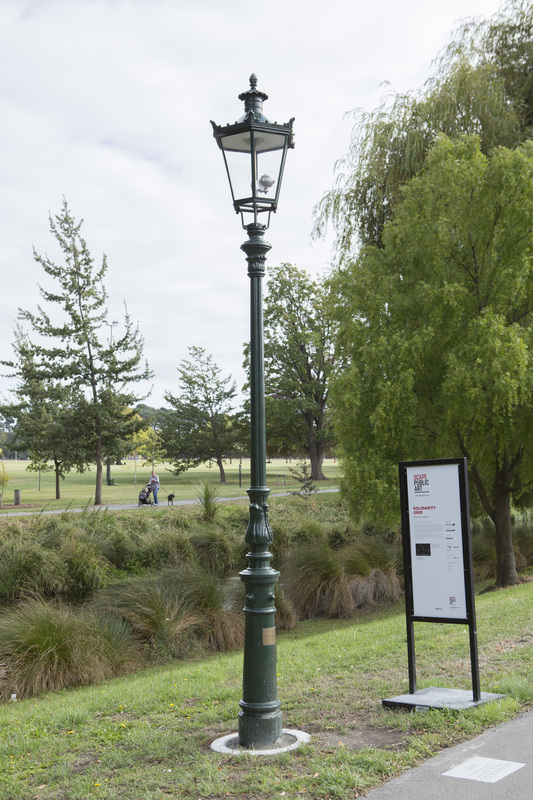 Deborah McCormick (SCAPE Public Art) and Neil Graham (Mainfreight) welcome the Düsseldorf lamp post to Christchurch.